Competitive rates for all services we provide. Save money with us. Being family owned we have lower overhead. That means we can charge less then the bigger companies. While still providing the same fast and professional results. You won't have to worry about who shows up on job. 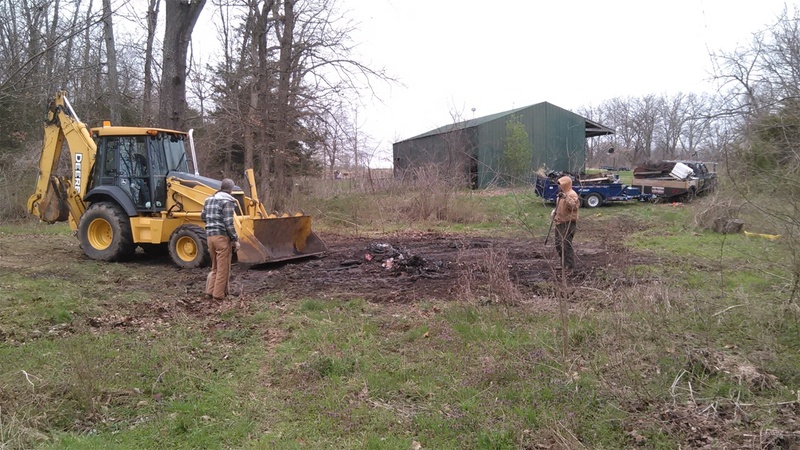 We always send at least one owner or manager to jobsite to answer any questions you might have and assure that the job is getting done safely and efficiently. Safety is top priority here at junk monkeys. 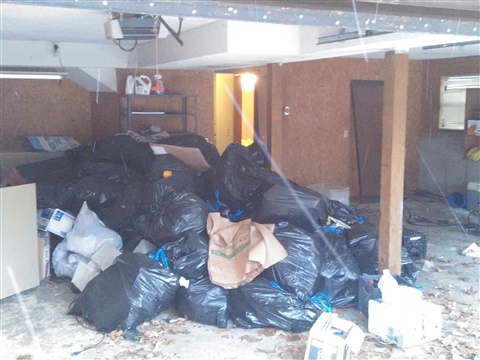 We haul any kind of junk from trash to recyclables even brush and limbs. No job is to big or small. Fast, courteous and professional. We work hard for and appreciate your business. 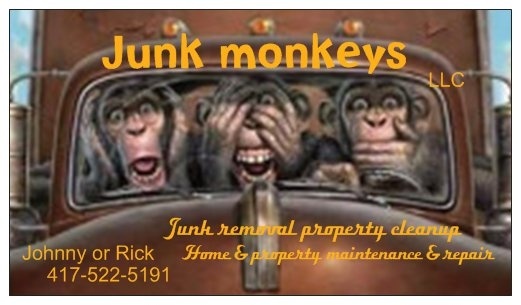 Property preservationists and junk removal experts. 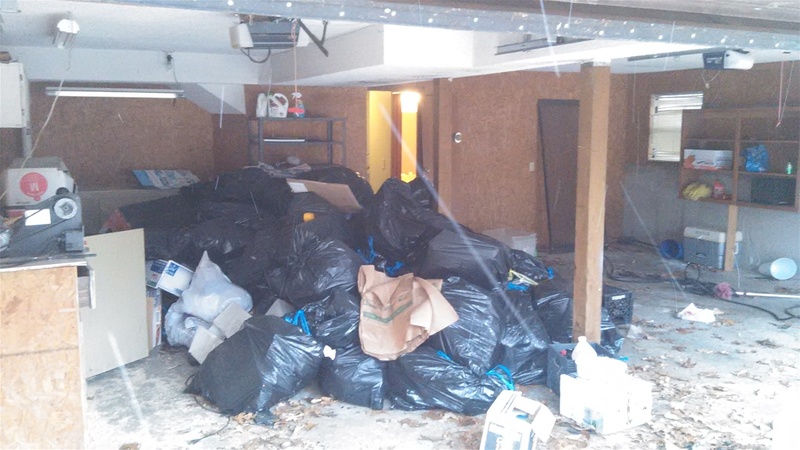 Renter's left your property a mess? Let us help. We do Decks and fencing as well!! We can handle most repairs and maintenance on your home or property. From floors to ceiling and almost everything between. 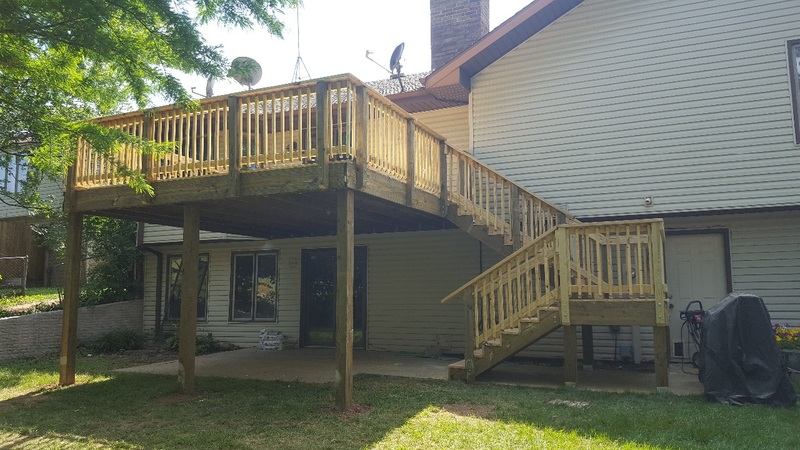 We do decks, fencing and landscaping. 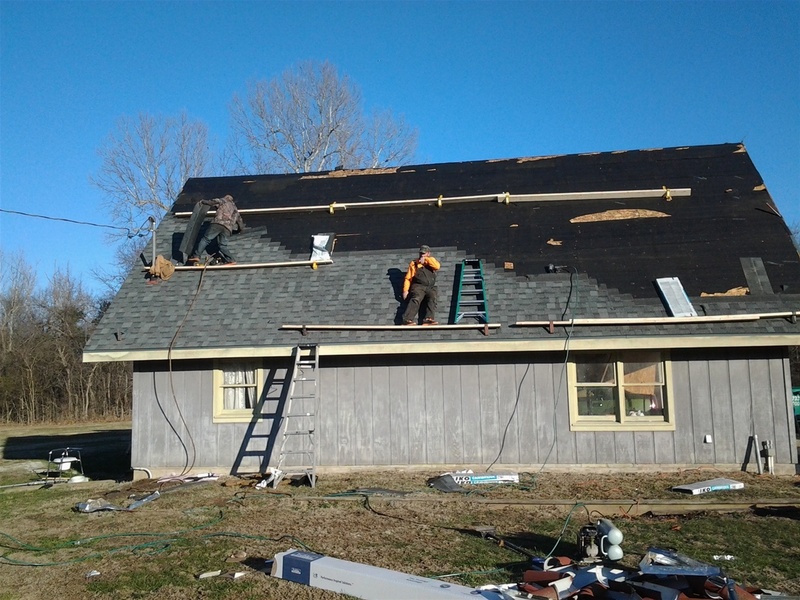 We also have over 30 years experience in roofing. 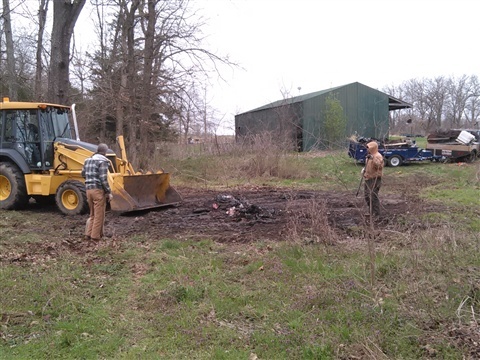 We do Tree and brush cutting and removal. Some lawn service. we can install dishwashers, faucets, ceiling fans, doors, windows, sump pumps and much more. 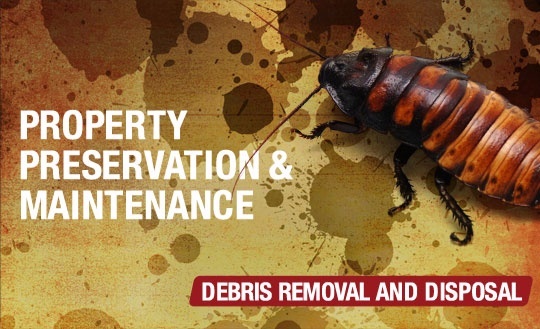 Contact us today for information or to schedule a time to get a free estimate. 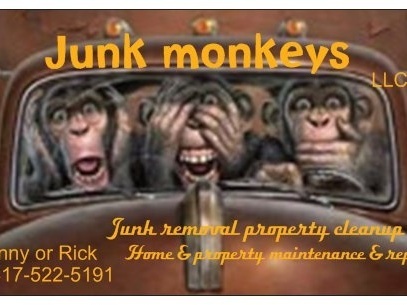 tap menu at top of page to see more about junk monkeys and our services! !